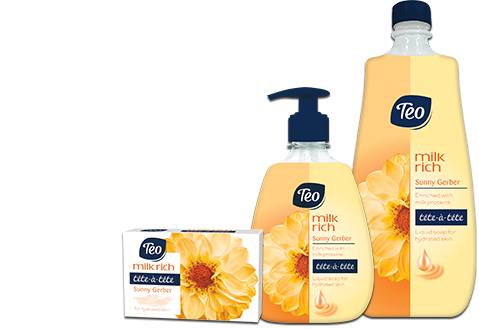 Taking advantage of our 20 years’ experience we have created the best Teo body care range ever – Teo Milk Rich tete-a-tete with its unique formula to hydrate tenderly your skin and relax your body. 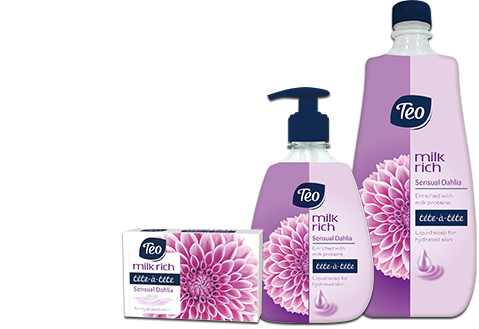 Feel yourself like a queen with gentle milk proteins immersed in long lasting floral fragrances fashioned in collaboration with some of the biggest fragrance houses in the world. Teo Milk Rich tete-a-tete – for milky soft and irresistibly aromatic skin. Immerse yourself in the elegance of relaxation and tranquility. With its delicate care and soft flavors, this variance of bar soaps will give you a sensual experience. Your skin will be soft, hydrated and nourished thanks to the supplemented milk formula. Light and delicate, the gentle fragrance combined with the milk formula pampers your senses, giving you a calm and soft feeling. The rose is known for its beautiful scent offering soothing and re-balancing sensations while acting as a natural stress reliever. This milk-enriched bar soap leaves you with a dreamy and enchanting feeling. The mild fragrance presents to you a romantic and tender touch all over your skin. The camellia flower is known to be a traditional beauty ingredient that makes the skin smooth and gives it a glossy shine. Charge yourself with freshness and brightness. The combination of crispy scent and milky formula enchants your body keeping it awake and active throughout the whole day.. Mysterious and sensual, the dahlia provokes your senses. The gentle sweetness connects you with nature and inspires calmness while the milk formula presents you with an unforgettable loving experience. Sunny and joyful, this bar soap leaves you energized and hydrated all day long. Happy and enchanting it brings a sweet delight to the senses leaving your skin full of euphoric feelings. 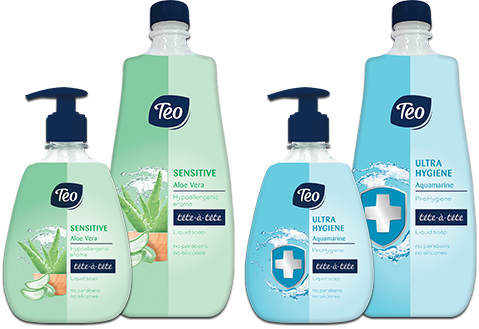 Teo Pro Gels range consists of two specialized gel liquid soaps – Sensitive and Ultra Hygiene. 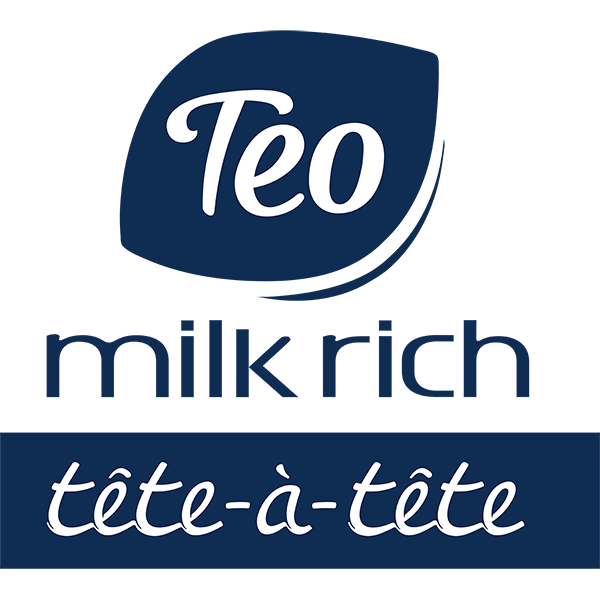 Teo Sensitive is for sensitive skin and contains aloe vera that soothes, calms and softens the skin. 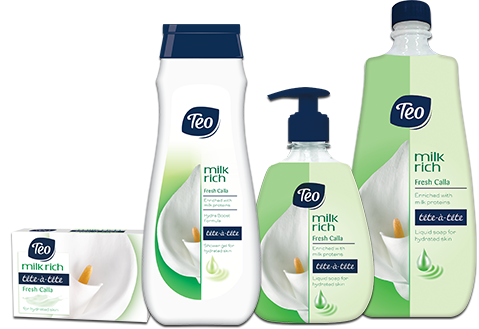 The special ingredients in Teo Ultra Hygiene liquid soap offers deep cleansing for perfectly clean and fresh skin.